The CEO of IPG Mediabrands, Danny Bass, has resigned from the role after three years. “At the end of last year I spoke to Leigh Terry (CEO, IPG Mediabrands APAC) about my plans for the future. Leigh was totally understanding and we both agreed that I’d leave Mediabrands in the coming months,” Bass said in a statement. Bass said during his tenure at Mediabrands he is most proud of the initiatives which have been implemented and progressed such as “gender balance, salary parity, maternity leave, diversity and equality”. “There’s been massive structural and skills innovation, balanced with a clear pragmatism about what clients expect from their media agency partner. I am hugely proud of where the business is at this point, with the new clients that have joined us, and the strength of our longer-term client relationships,” Bass added. Bass will remain with the agency until the middle of the year to aid Mediabrands in its transition period. Leigh Terry, CEO IPG Mediabrands APAC, added: “Danny’s credentials as Australia CEO speak for themselves. We have discussed at length his decision, we fully support him and obviously wish him the very best of fortune in his time off and future career steps. 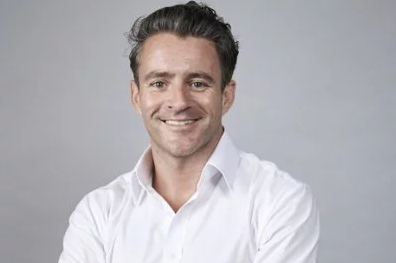 Bass joined IPG Mediabrands in November 2015 from his previous role as chief investment and intelligence officer at Group M.
Seb Rennie then replaced Bass as Group M’s head of investment. Throughout his career Bass has also held positions at News Digital Media and News Corp.
Just months after taking the helm at IPG Mediabrands, Bass installed a new CEO at Initiative bringing in Melissa Fein from MCN. Meanwhile, just recently Initiative Sydney’s GM Nick Woke was made redundant. Bass’s departure follows a series of leadership changes at media agencies across Australia with Henry Tajer becoming Dentsu Aegis Network’s CEO in January and Matt James being promoted from his Publicis Media CEO role.